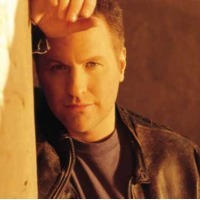 Floyd Collin Wray (born August 22, 1959 or 1960, in De Queen, Arkansas) is an American country music singer, known professionally as Collin Raye. He made his debut on the American country music scene in 1991 with the release of his debut album All I Can Be, which produced his first Number One hit in "Love, Me". All I Can Be was the first of four consecutive albums released by Raye to achieve platinum certification in the United States for sales of one million copies each. Between 1991 and 2007, Raye charted thirty singles on the U.S. country charts; he has also charted twice on the Adult Contemporary format as a duet partner on two Jim Brickman songs. Four of Raye's singles have reached Number One on the Billboard country music charts: 1992's "Love, Me" and "In This Life", 1994's "My Kind of Girl", and 1998's "I Can Still Feel You". He has also recorded a total of eleven studio albums, counting a Christmas album and a compilation of lullabies, in addition to releasing a Greatest Hits compilation, a live album, and a live CD/DVD package. His most recent album, Never Going Back, was released via Saguaro Road Records on April 28, 2009.